State Board of Administration of Florida Retirement System continued to hold its position in Brookline Bancorp, Inc. (NASDAQ:BRKL) during the fourth quarter, according to its most recent filing with the SEC. The institutional investor owned 64,340 shares of the company’s stock at the end of the fourth quarter. State Board of Administration of Florida Retirement System’s holdings in Brookline Bancorp, Inc. were worth $1,055,000 at the end of the most recent quarter. Several other institutional investors also recently bought and sold shares of BRKL. Bessemer Group, Inc. increased its position in Brookline Bancorp, Inc. by 48.9% in the fourth quarter. Bessemer Group, Inc. now owns 96,500 shares of the company’s stock valued at $1,583,000 after buying an additional 31,700 shares during the period. Russell Investments Group, Ltd. bought a new position in Brookline Bancorp, Inc. during the fourth quarter valued at about $26,849,000. Whalerock Point Partners, LLC bought a new position in Brookline Bancorp, Inc. during the third quarter valued at about $4,761,000. Moors & Cabot, Inc. increased its position in Brookline Bancorp, Inc. by 0.8% in the third quarter. Moors & Cabot, Inc. now owns 78,872 shares of the company’s stock valued at $956,000 after buying an additional 625 shares during the period. Finally, Hartford Investment Management Co. increased its position in Brookline Bancorp, Inc. by 5.7% in the third quarter. Hartford Investment Management Co. now owns 14,800 shares of the company’s stock valued at $180,000 after buying an additional 800 shares during the period. Hedge funds and other institutional investors own 77.36% of the company’s stock. Brookline Bancorp, Inc. (NASDAQ:BRKL) opened at 14.80 on Friday. The stock’s 50 day moving average is $15.64 and its 200 day moving average is $14.57. Brookline Bancorp, Inc. has a 12-month low of $10.40 and a 12-month high of $17.45. The firm has a market cap of $1.04 billion, a P/E ratio of 20.00 and a beta of 0.88. 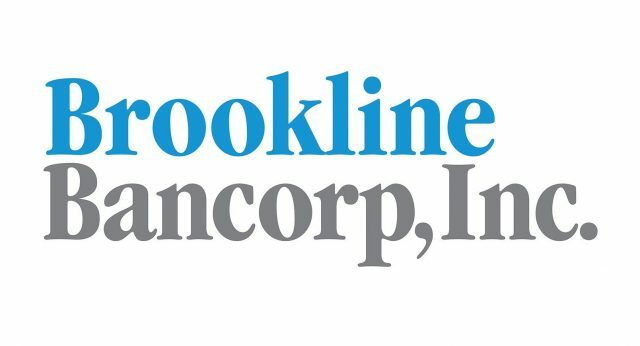 Brookline Bancorp, Inc. (NASDAQ:BRKL) last released its earnings results on Wednesday, January 25th. The company reported $0.19 earnings per share for the quarter, meeting the consensus estimate of $0.19. Brookline Bancorp had a return on equity of 7.53% and a net margin of 19.97%. During the same period in the prior year, the company posted $0.19 earnings per share. On average, equities research analysts expect that Brookline Bancorp, Inc. will post $0.82 EPS for the current year. The company also recently announced a quarterly dividend, which was paid on Friday, February 24th. Shareholders of record on Friday, February 10th were given a $0.09 dividend. This represents a $0.36 annualized dividend and a yield of 2.43%. The ex-dividend date was Wednesday, February 8th. Brookline Bancorp, Inc.’s dividend payout ratio is currently 48.65%. Separately, Compass Point upgraded shares of Brookline Bancorp, Inc. from a “neutral” rating to a “buy” rating in a report on Thursday, January 26th.